It’s a funky glyph, as it might not be clear how these lines and squiggles depict a goat. The V represents a goat’s beard. The squiggly stands for a curly, almost serpentine tail. What’s up with the tail? Well, Capricorn’s are goats, but in the constellation and in mythology they are also sea goats. The tail represents the scaly, finned tail of a sea goat. Essentially, this glyph illustrates the half goat, half sea creature illuminated in the constellation. Knowing the etymology of this little symbol says a lot about Cap’s character. How so? It reminds us of a dual nature inherent in Capricorn. There is the stubborn, determined, goal-oriented essence found in the goat half of Cap. Then, there is the emotional undercurrent represented by the sea side of Cap. Capricorn’s don’t typically show their feelings. They keep their emotional tails tucked deep beneath their emotional waters - beneath visibility. This tendency might not even be conscious, but it’s definitely a protective measure. Cap’s like control, and don’t tolerate feeling vulnerable and sharing feelings often leave us all feeling that way. 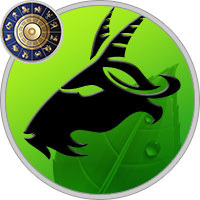 Earth: It comes as no surprise that among the zodiac symbols for Capricorn, the earth is one of them. Earth is symbolic of solid foundation. Consider: Without earth, all our houses, trees, even our bodies would have no solid footing upon which to anchor. This is often a testimony for Cap’s. It takes a Cap to serve as an anchor for things that need it. Earth is also about security and provision. These ideals are married to Cap’s dominating proclivity towards responsibility, practicality, authority. Cap’s are often in positions of power and leadership. The need for this position often ties to a desire to have a secure, safe environment (earthy symbolism of provision and security) for either themselves, or their community/family. Carnation: If we look into the symbolism in lore of this flower, we see themes of faith, tenderness, innocence and other delicate concepts. On the surface, this might not jive with Capricorn’s strong, resilient nature. Key words here: "On the surface". In truth, Capricorn possesses all of the tender qualities for which the carnation is revered...they just might not express them like cheery blossoms. Carnations are, however, very resilient - and that’s an easily identifiable trait shared with Cap’s. Carnations are also symbolic of structure and order - another shared set of qualities with Cap’s. Garnet: Garnet comes in many colors, and red is the most influential for Capricorn’s. Red colored garnets are symbolic of power, authority, royalty and being in a position in which others admire the wearer of this stone. Good match for a Capricorn. Red garnets are also symbolic of solidarity and unification. These are healthy traits for this sun-sign, as Cap’s often look to unify their environment so it works as a well-oiled whole. Capricorn’s are encouraged to wear garnet to attract understanding from others, and even magnetize true, authentic love to themselves. Goat or Sea Goat: If you’ve ever seen goats in action, especially mountain goats, you know they tend to have a sense of purpose in the direction they’re headed. This is quite true for most Capricorn’s too. Cappy’s have a knack for seeking solid footing and persistently following that path to reach their goal or destination. Goats are also extremely strong willed and single-minded in purpose. So too goes for this sun-sign. A motivated Capricorn can exhibit remarkable determination and self-will to get where they’re going. 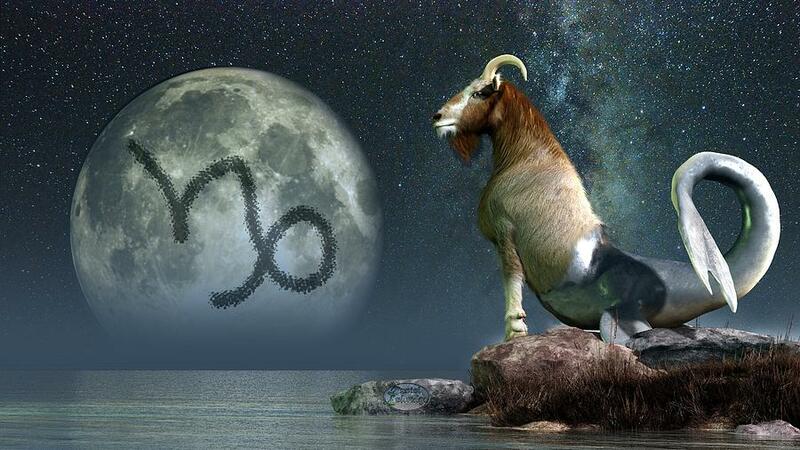 If we look into the sea goat side of Capricorn, we see the motives behind that strong, purpose-driven personality. The sea side of the goat represents the underlying current that moves Capricorn to do what they do to get on top, get ahead, get things done. How so? The sea side of the goat is symbolic of emotion. Emotions are commonly linked to actions taken. If you can crack open a Cap’s exterior, I’m willing to bet you’ll see a corresponding emotion prompting a Cap’s actions. The sea side of the goat is also symbolic of intuition. Some Capricorn’s may not know it, or admit it - but most Cap’s have extraordinary intuitive perception.